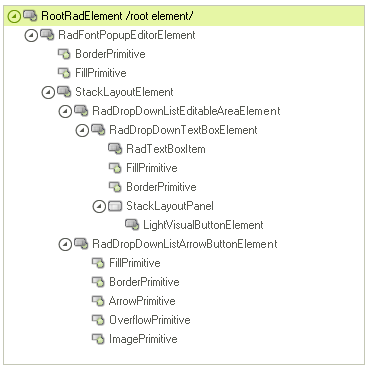 This article describes the inner structure and organization of the elements which build the RadFontDropDownList control. RadFontDropDownList is a derivative of RadPopupEditor and it internally uses a grouped RadListView with default ViewType set to DetailsView. 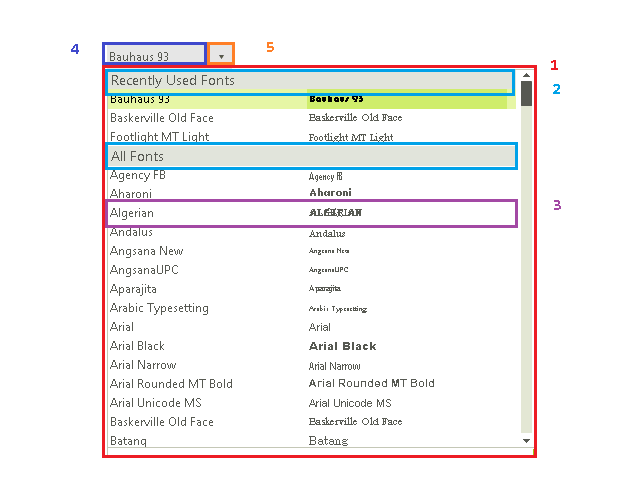 Two columns are displayed in the pop up list - while the first column stores the font name, the second column shows a preview of the respective font. RadPopupContainerForm - represents the pop up container that hosts the RadListViewElement. 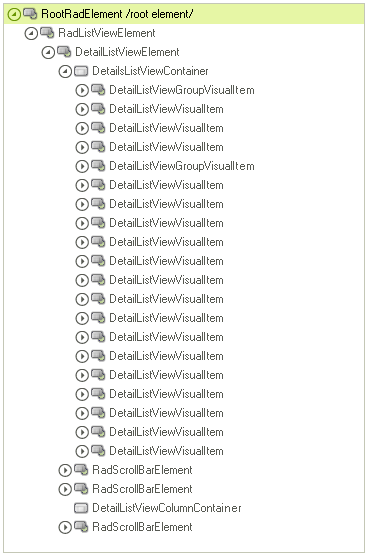 DetailListViewGroupVisualItem - represents a visual element for the group item (e.g. Recently Used Fonts and All Fonts items). DetailListViewVisualItem - represents a visual item illustrating a font option in the pop up. RadDropDownListEditableAreaElement - represents the editable area.